I am the one in the family that takes all of the photographs at our family gatherings. So it only seemed appropriate that I do something creative with the photos. 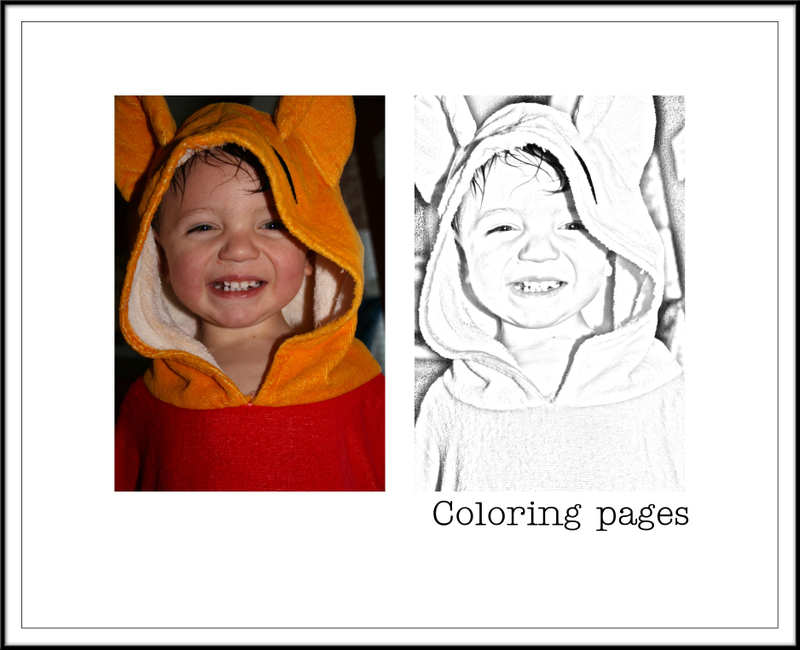 This past Christmas I gathered photographs of all the children, (we have 9 children under the age of 10 in my husband's family) and I turned their pictures into coloring pages. The kids LOVED them!!! It was a great gift to give and cost me next to nothing to make. It took a little creativity to get them spined in a book form but it was definitely worth it. A neighbor friend liked them so much she purchased 10 for her family. 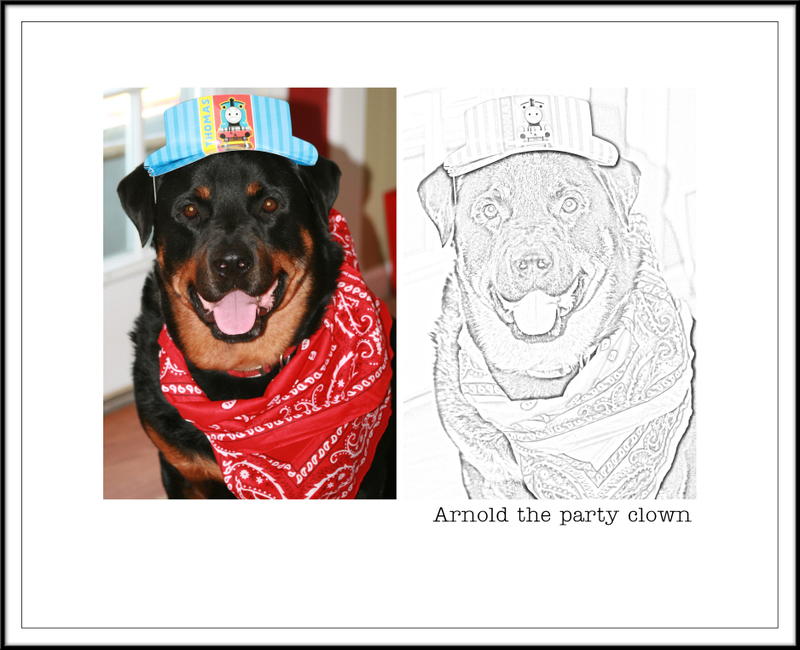 Now most of Logan's artwork consists of coloring photos of our dogs or himself. Here are a few samples of before and after coloring pages. This entry was posted on Tuesday, March 4, 2008. You can follow any responses to this entry through the RSS 2.0. You can leave a response.